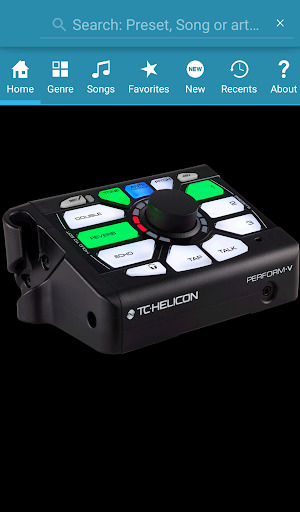 This is the companion app to TC-Helicon’s Perform-V, a mic-stand mounted vocal processor that opens up a whole new world of performance opportunities for singers. 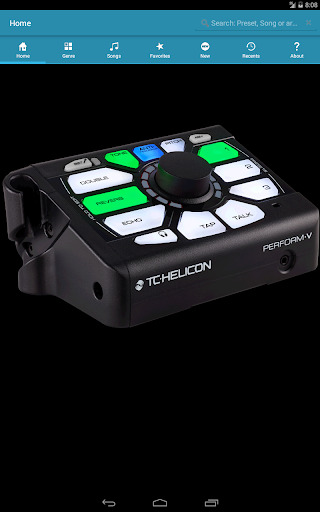 The Perform-V Companion app offers 1000+ preset sounds which can be instantly transferred when connected with a usb cable or can be “beamed” over-the-air from your Android device to the Perform-V with nothing but your phone or tablets’s external speaker. 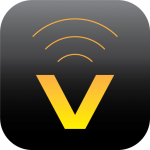 Simply select a preset, hold your phone or tablet next to Perform-V’s room-sense microphone, then press “Beam”. 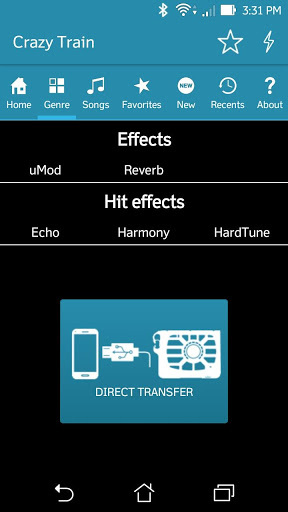 The preset takes about 4 seconds to transfer via an audio signal which sounds like a Fax machine or an old computer modem to the human ear. – Search over 1000 presets by Genre, Artist, Song. 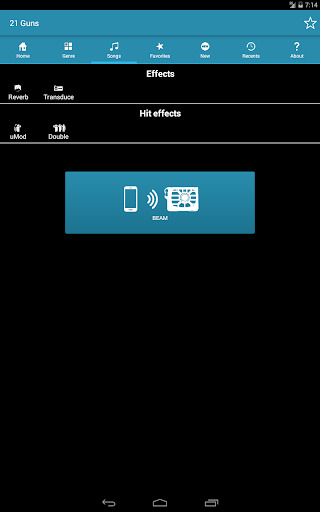 – Quickly access recently used presets. – Mark your favorites for later use. 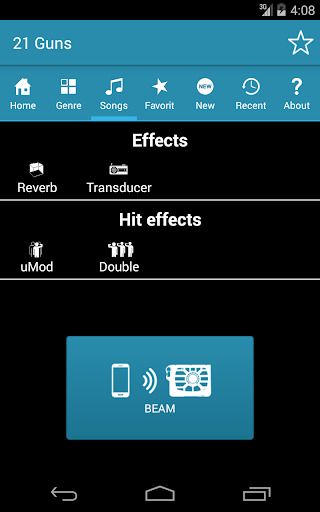 – “Beam” presets using your iPhone or iPad speaker to your Perform-V.
– Automatically receive professionally authored preset update packs as the become available.